The Matsubayashi-Ryu lineage begins with Grand Master Nagamine’s teachers; Anakichi Arakaki, Chotoku Kyan, Choki Motobu, Tara Shimabuku and Chojin Kuba. This lineage continues through Grand Master Nagamine and extends to Hanshi Grant and his students. 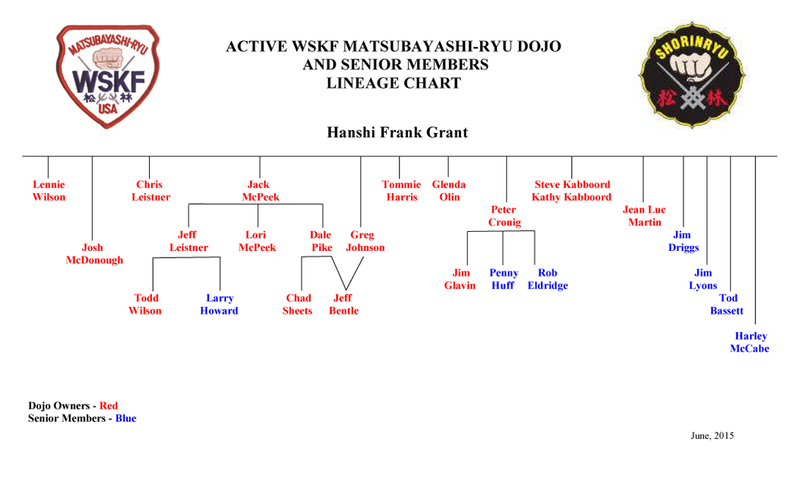 The WSKF Lineage Chart contains Dojo Owners and senior members of Hanshi Grant.